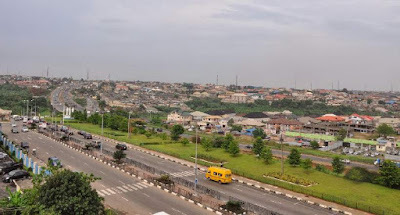 A thirty-four-year old man, Kingsley Agbini, has developed stroke after he allegedly raped his wife’s niece, simply identified as Comfort in his house at Agbarho Community in Ughelli North Local Government Area of Delta State, DAILY POST is reporting. 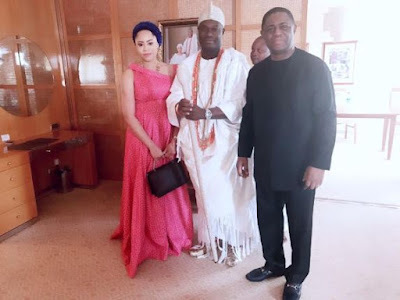 Agbini who is still recuperating from his stroke has admitted to committing the offence, stating that he developed stroke after his escapades with Comfort on 12 December, 2016 was brought to the knowledge of his wife. Peoples Democratic Party(PDP) director of new media, Deji Adeyanju and other Nigerians today, January 13th staged a peaceful protest at the Central Bank Of Nigeria (CBN) office. The peaceful rally tagged #OccupyCBN was targeted at the CBN Governor, Godwin Emefiele whose incompetency in some economic policies has seen Nigeria plugged into recession and of course dollar to naira nearing N500. 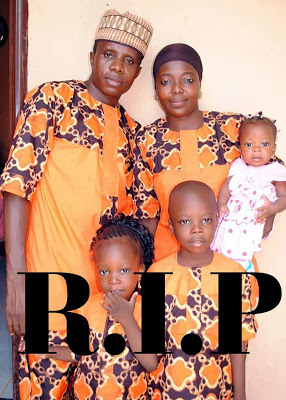 Few days ago,I reported that a Nigerian lost his wife after she gave birth to triplets.The late Mrs Doris Osato, a 36-year-old mother of the triplets who died on December, 19th, just one week after delivery was laid to rest in her hometown, Urohi village, in Ekpoma, Edo State. 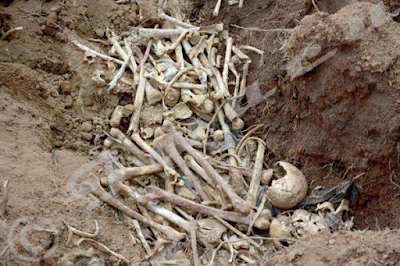 The republic of Burundi has discovered a mass grave which contains bones and skulls of people in the Gasenyi locality of Mwaro central province. The mass grave which dates back to 1972, was discovered on Wednesday, by contractors preparing the ground to build a new school. According to Iwacu News, the people were killed in the 1972 crises, following the death of Ntare V of Burundi, the last king of Burundi, who was executed and thrown into a common grave. Davido And Akon Received Officially In To Gabon By The President Mr Ali Bongo Ondimba For The Grand Opening Of The AFCON Football Starting With Gabon Vs Guinea-Bissau By 5 P.m Tomorrow Saturday 14 February 2017. 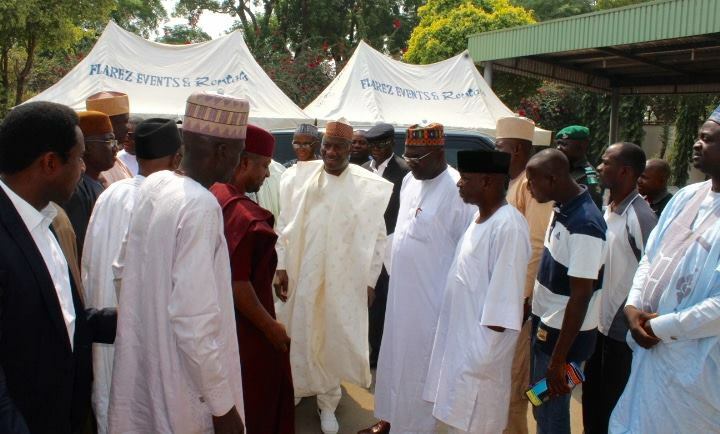 President of Sam Zuga Foundation, Bishop Sam Zuga, on Thursday, performed a water ministration in Minna, the Niger state capital, and wonders happened. According to a message posted on the Facebook page of the Pentecostal pastor, many things came out of people’s bodies during the water ministration. 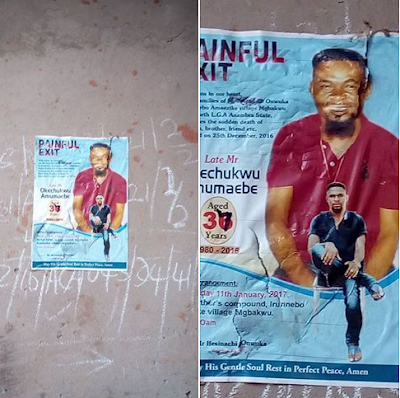 Nollywood actor, Kunle Remi was lucky to survive a weird ordeal from the hands of a fan that could have killed him late last year. The charming actor recounted his ordeal in the hands of an over excited fan who accidentally stabbed him with a broken glass at a friend's party. 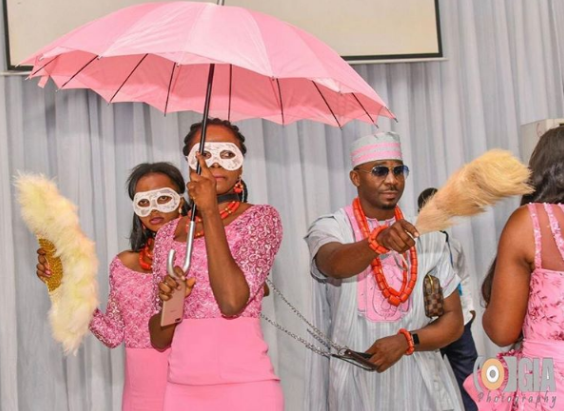 After getting a brand new Range Rover gift from her lover, popular Nollywood actress, Daniella Okeke moved to join him in Texas, US and there got another shocker by getting engaged. Days ago, Daniella Okeke took to her gram to show off the man in her life who just gifted her a brand new Range Rover. Ex-Miss Tourism Nigeria and Special Assistant on Tourism to the Anambra State Government, Collete Nwadike, is solidly behind her fellow beauty queen and former Miss Anambra, Chidinma Okeke, who was involved in a scandalous lesbian video recently. This is a very sad moment for the Nigerian Army after losing yet another gallant soldier. 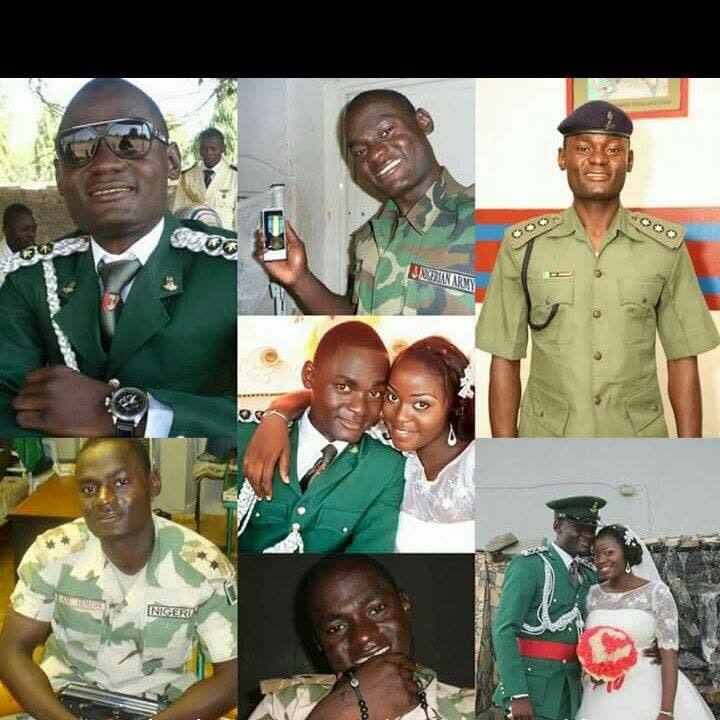 According to confirmed multiple reports, 2nd Lt. Amajuoritse Jemide, 32, was killed in active service while discharging his duty in Yobe State. His army convoy was reportedly hit by a bomb and that was how he met his end. May his soul rest in peace. 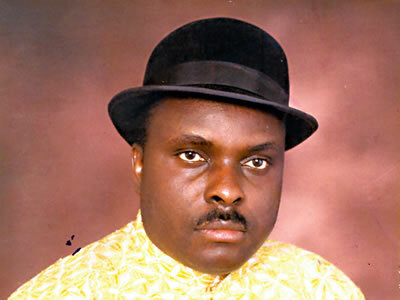 In this final article in my series of replies to Simon Kolawole’s “The Welcome Party” (Thisday newspaper of Sunday December 25, 2016), where he condemned the massive celebration Chief James OnanefeIbori’s release from UK jail elicited in Nigeria, I will face the sixth untruth in his single article. Founder of Living Faith Church Worldwide a.k.a. 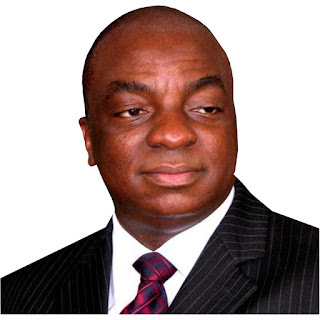 Winners’ Chapel International, Bishop David Oyedepo has denied a report that he incited Christians to take up arms against Muslims while speaking on the Southern Kaduna crisis. All is not well inside the Turkish International School, Isheri (a border between Lagos & Ogun state). 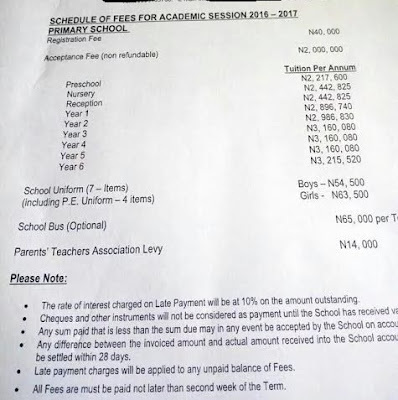 Multiple sources have sent mails to Metronaija about the on-going pandemonium in the school. 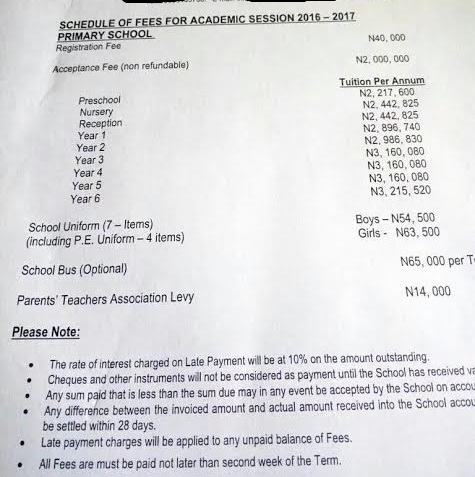 One of the mails we got reads, 'Gunmen / kidnappers storm Turkish international school along Ibadan express way and have made away with 6 school girls as I write to you now there is pandemonium in the school. Thanks'. 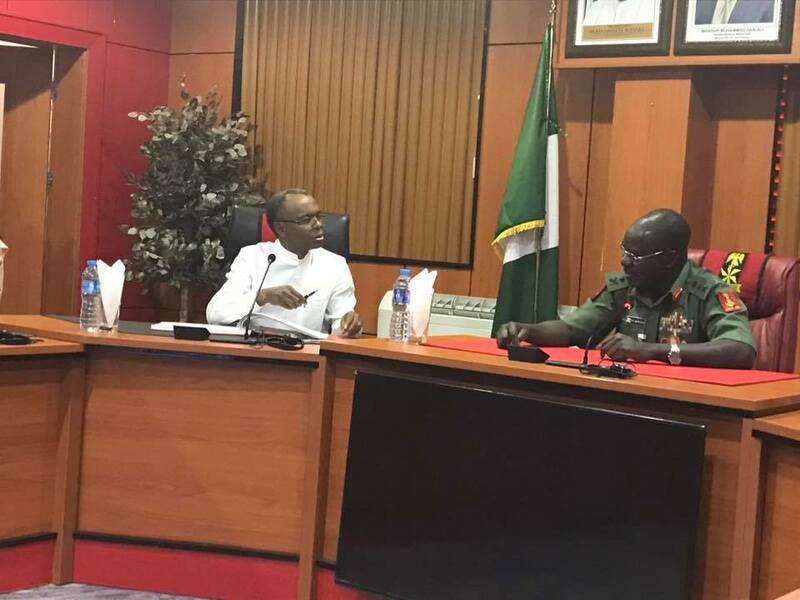 Kaduna State Governor, Nasir Ahmed El-Rufai, on Thursday, paid a courtesy visit to the Army Headquarters in Abuja. This was made known in the pictures and post shared on the Facebook page of SK Usman some hours ago. The governor during the visit commended the Nigerian Army under the leadership of the Chief of Army Staff (COAS), Lieutenant General Tukur Yusufu Buratai, for its professionalism and dedication to duty. Ogun State Governor, Senator Ibikunle Amosun, on Thursday, paid a courtesy visit on Chief Folake Solanke, SAN, in her Ibadan home. 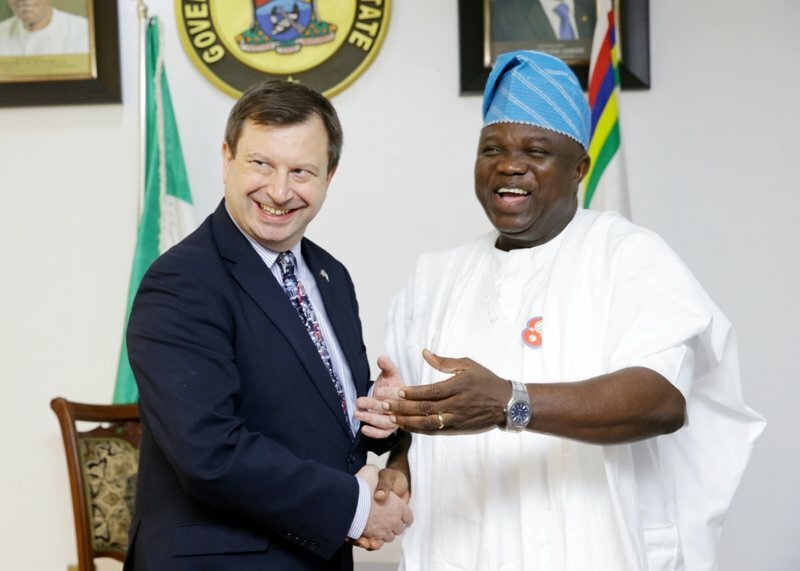 While welcoming the governor, Chief Solanke expressed delight on the visit, which she said, has been long in coming. 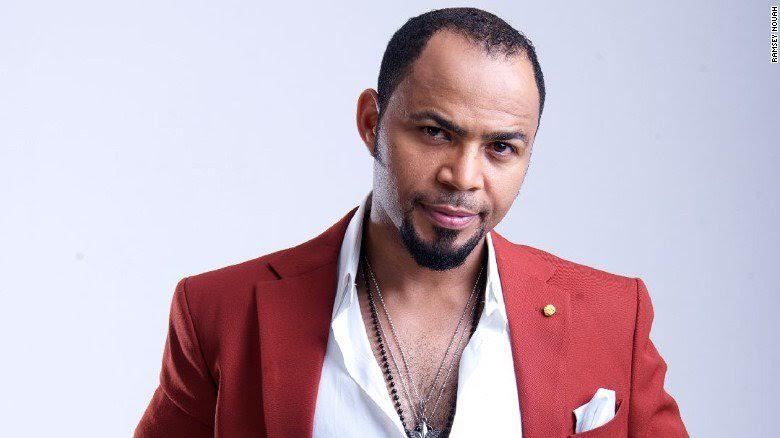 Nollywood actor, Ramsey Noah has noted that the previous government led by Goodluck Jonathan did more good for the movie industry compared to the current administration . According to Joy News Ghana, the actor said that the previous government invested financially in the movie industry while this present government has not really done much for the industry. My name is ASP Usman Gambo Kobin, I am a retired police officer, I am from Kobin, Numana Chiefdom, Sanga LGA of Kaduna state. Sometimes I see things that wonder why some people will not raise kids that grow up to break rules. The lady in the red is clearly in the lane of oncoming vehicles and insists that everyone must go back. I came down and begged her to go back and turn into the street properly. 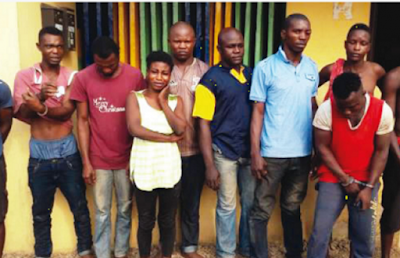 The Ogun State Police Command has arrested a female cult gang leader who is allegedly the brain behind a clash between rival groups which claimed lives on Tuesday. 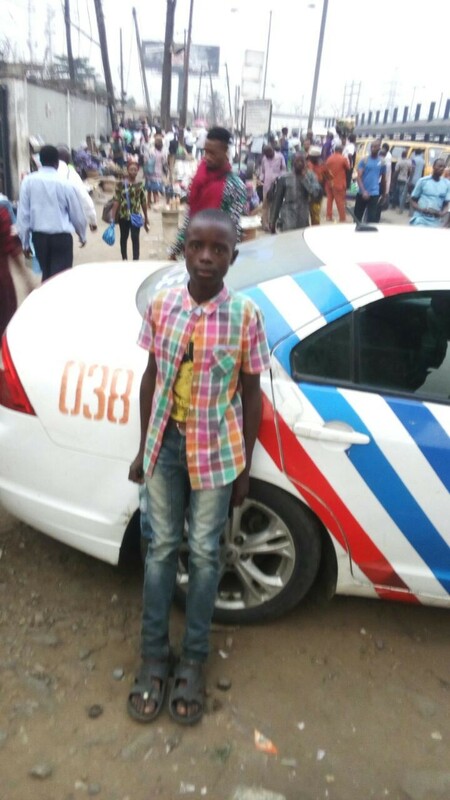 Edo State Police Command has arrested two 15-year-old secondary school students, Osayame Osamede and Junior Godbless, for alleged armed robbery and cultism. 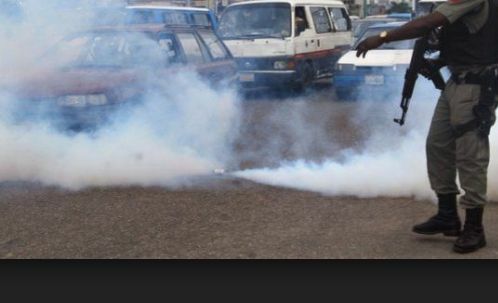 Parading the teenagers at the Command headquarters in Benin, the state commissioner of police, Haliru Gwandu urge parents to always monitor activities and movements of their children with a view to prevent. The Standard Organisation of Nigeria (SON), the statutory body that is vested with the responsibility of standardizing and regulating the quality of all products in Nigeria, has debunked the claims of a fake Amstel Malta in circulation. Scores of political gladiators in Osun, as well as residents of the state were in total confusion on Thursday as news filtered in that former commissioners and other aides of the governor have been ejected from their official quarters in Osogbo as a result of the directive from the office of the Chief of Staff to Governor Rauf Aregbesola, Alhaji Gboyega Oyetola. Mercy Aigbe Gentry and Iyabo Ojo are gradually handing the slay baton to their cute daughters. 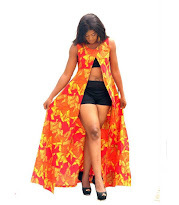 The daughters of the two Yoruba actresses took to Instagram to show off their chic style and good looks. The Jigawa State Government on Wednesday has demolished places of worship in the state including the Redeemed Christian Church of God (RCCG), and Lord Chosen Church in Dutse. This is coming barely 1 week after Pastor Enoch Adeboye resigned as Redeemed Church General overseer in Nigeria over a law by the Financial Reporting Council of Nigeria (FRCN) which stiputed 20-year maximum tenure for heads of religious groups and civil rights organisations. 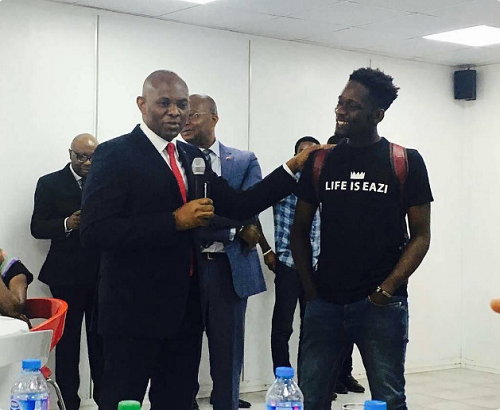 Award winning artiste, Mr Eazi met with billionaire businessman and CEO of Heirs Holdings Company, Tony Elumelu. The ‘Sample’ singer who won the ‘Next Rated’ at the 2016 Headies Award, took to his Twitter page, to share photos with Tony Elumelu after a courtesy visit. Another photo after the cut. Baga was one of the worst hit communities by Boko Haram activities in Borno state. On January 3rd 2015, the insurgents overran a military base in Baga and massacred over 1000 people. The attack according to some International media, can be described as Boko Haram's most deadliest attack. Many of the community residents fled the area for over two years and began to return there last year. 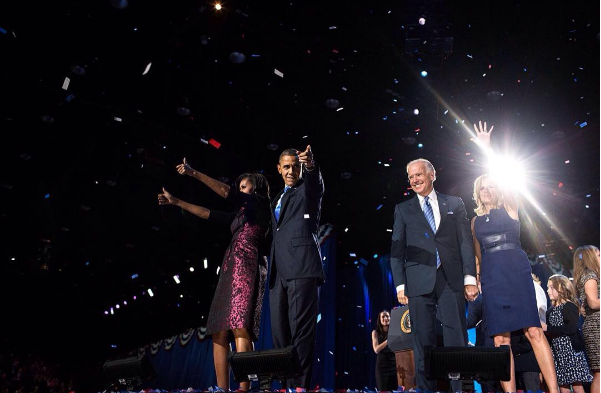 Life as seen in these pictures appears to have been back. Commercial activities also appears to be picking up. Continue to see more photos after the cut. 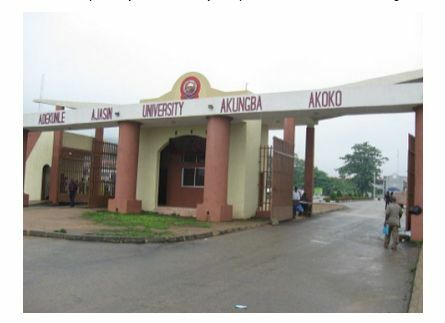 Gunmen have killed a 300-Level student of Adekunle Ajasin University Akungba(AAU),Akungba-Akoko. 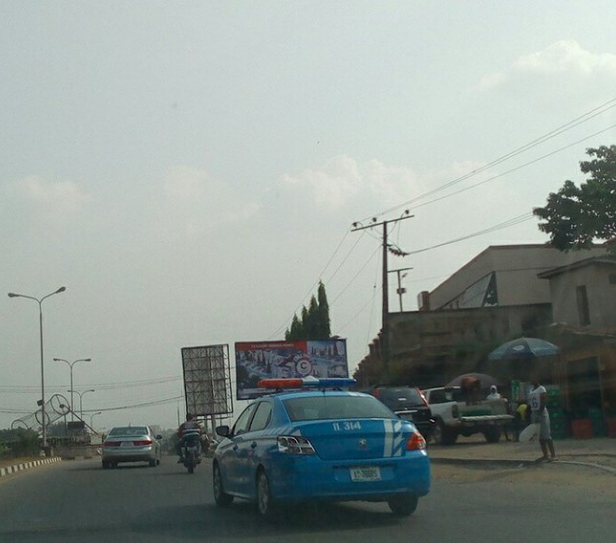 Yemi Akinbamiwa was a son of a popular food vendor in Ondo town. 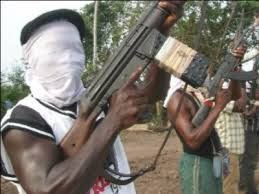 He was said to have been shot by the assailants on Akure Road on Monday as he was running an errand. Eyewitnesses said he held a black nylon bag that reportedly contained money and was approached by the hoodlums who rode on a motorbike. A 14-year old boy, Israel Solomon, who fled his parent’s home in Jos was on Monday evening intercepted and rescued by operatives of the Rapid Response Squad (RRS) of the Lagos Police Command at Ojota, Lagos, Southwest Nigeria. Solomon, a Birom by tribe, was seen wandering around Ojota Bus Stop, when the operatives decided to call him for questioning. 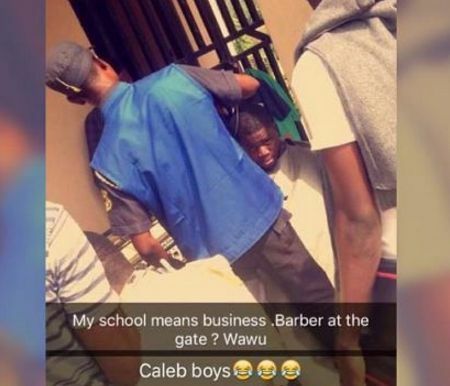 Caleb University is a private university located in Imota, Lagos. Known for its cleanliness and high academic taste, the school is also said to be very strict about its rules. The university caused a stir recently after employing stringent measures to ensure students comply with a law that says male students must wear a low hair cut within the campus premises. 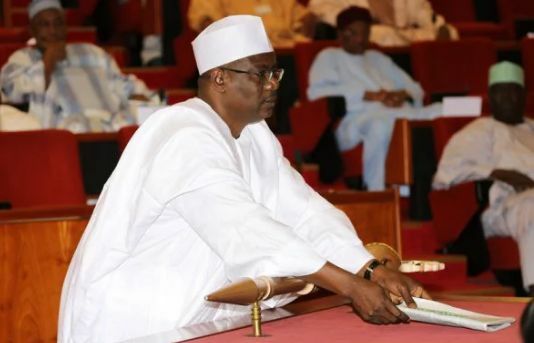 Senator Ali Ndume from Borno State, who was removed as Senate Majority Leader on Tuesday, has revealed why he was ousted. The president of the Senate, Bukola Saraki, announced Senator Ndume’s removal shortly before the upper legislative chamber adjourned on Tuesday. The Department of State Services (DSS) says it has recorded major successes against Boko Haram terrorists and kidnappers across the country. 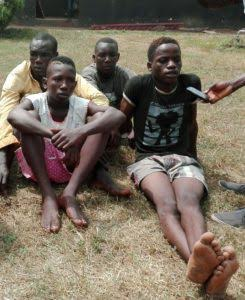 In a report released by Tony Opuiyo on behalf of the agency, the secret service said its operatives arrested on 10 January in Oko-Oba area of Lagos four suspected fleeing members of the Boko Haram and nine others in various parts of the country. The Nigeria Union of Petroleum and Natural Gas Workers will commence its planned three-day warning strike today (Wednesday) over unresolved issues with some International Oil Companies operating in the country. 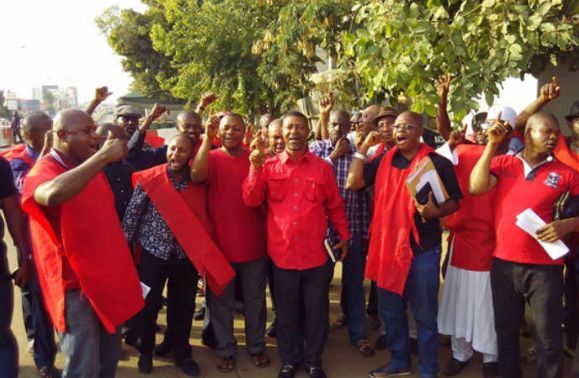 The union said it had given the Federal Government a 21-day ultimatum to intervene in a bid to resolve the issues, but nothing changed. 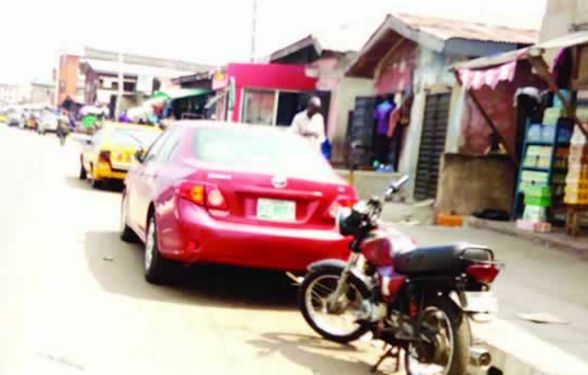 No fewer than three persons have been confirmed dead, while several others were injured in two separate clashes between rival cults in Lagos. The two incidents occurred on Olorunfunmi Street, Oworonshoki; and Muri Ojora Street, Amukoko. 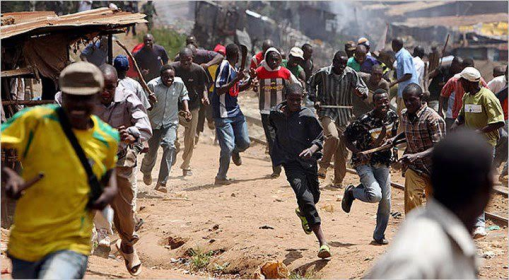 It was learnt that one Bayo Morebise, aged 37, was killed in the Oworonshoki clash, while 28-year-old Lekan Makinde and one other, identified as Area, were hacked to death in Amukoko. 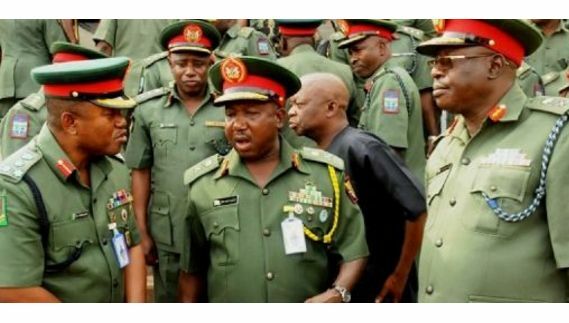 The Nigerian Army has either appointed or redeployed no fewer than 14 officers to different military units across the country, in a strategic shake-up. The exercise, approved by the Chief of Army Staff, Tukur Buratai, on January 9, 2017, affected six major generals, five brigadier generals, two captains and one major. Those still taking Olamide as a local champion should start reconsidering their stand. 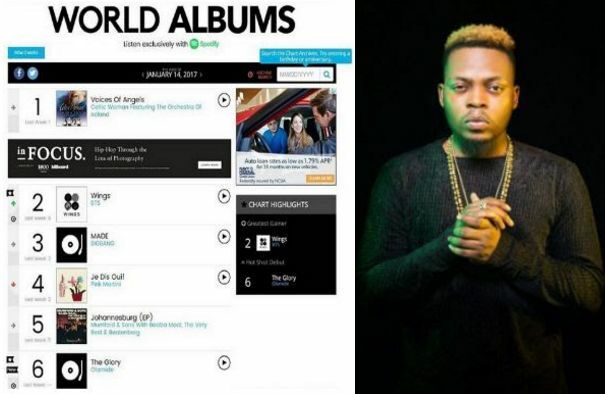 He just made it into the Billboard Top 10 World Album Chart. And he's already on No.6. Big deal! This young man, Henry Ejike Chiokwa, a 400 level Banking & Finance student of UNIPORT, was last seen on his birthday, about 47 days ago. 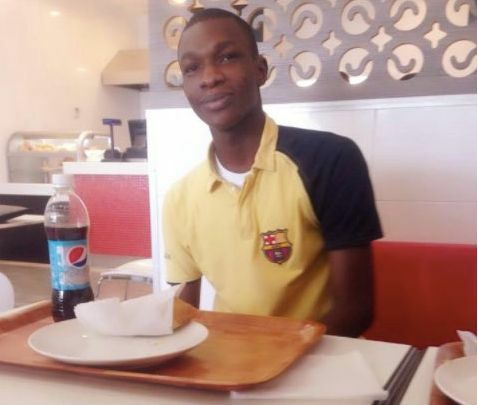 Yemi Akinbamiwa, a 300 level student of Adekunle Ajasin University Akungba (AAU), in Ondo state, was reportedly shot dead by suspected armed robbers along Akure road on Monday. According to reports, Yemi had gone to the bank to make a huge withdrawal from a bank that he placed it inside a black nylon bag. 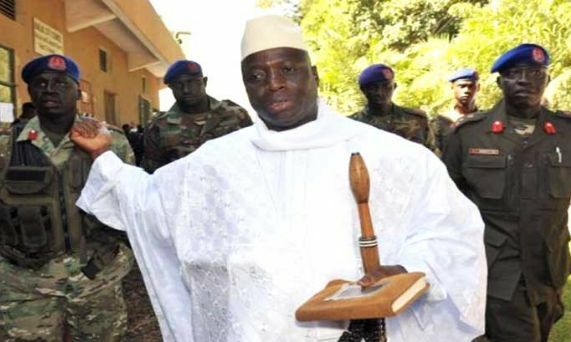 At the instance of President Yahya Jammeh of Gambia, the high level ECOWAS mediation mission led by President Muhammadu Buhari has pushed forward its visit to Banjul, the capital of Gambia. President Buhari’s office disclosed this on Tuesday. 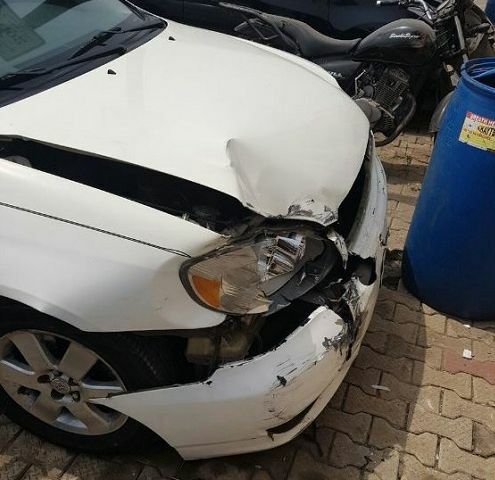 What could be worse for a man who went to a firm to look for job and was lucky that the company agreed to employ him and even gave him a car to drive, so as to prove himself as a driver? 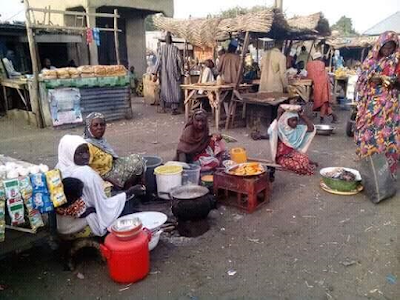 According to report, Mr. Sarafa Lasisi and his entire family - wife and three children died in a drastic fire outburst in Koko area of Kebbi state. A brother to the deceased confirmed the sad story. One whole family gone...this is heartbreaking. RIP!